You can join us most weekends! First Coast Divers was first opened for business in Jacksonville, FL in March of 2007 and is owned and operated by Dan Mechelke. From the beginning, Dan’s business philosophy has always been to offer the highest quality products with the highest level of personal service. This is why First Coast Divers exclusively sells Aqua Lung gear (and their fine family of products) and has partnered with PADI to offer the best dive training in the world. 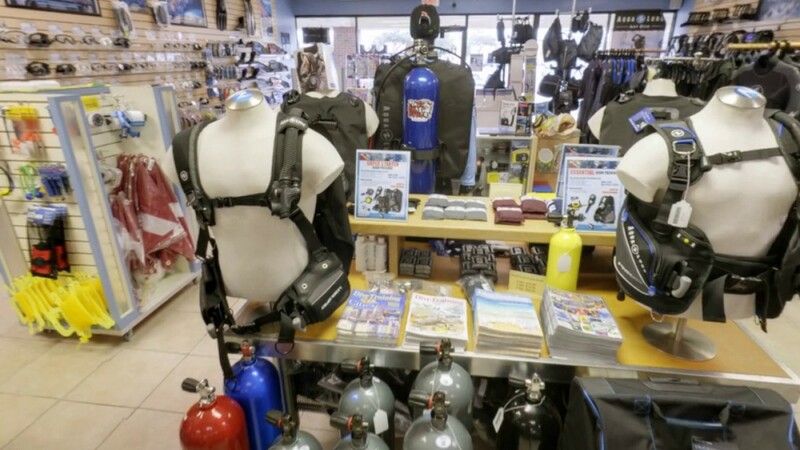 Although our prices are competitive, here at First Coast Divers, we realize that we may not be the least expensive dealer from which to buy your gear and to receive your training. And it will never be our goal to be that type of store. Our goal is to exceed our customers’ expectations in regards to the quality of products and quality of service we offer. We believe in building lasting relationships with our customers based on trust. We believe is treating people the way we would want to be treated. And we believe in deeds and not just words. It is our goal to be your hometown dive center.